Vinterberg was born in Frederiksberg, Denmark. In 1993, he graduated from the National Film School of Denmark with Last Round (Sidste Omgang), which won the jury and producers' awards at the Munich International Festival of Film Schools, and First Prize at Tel Aviv. 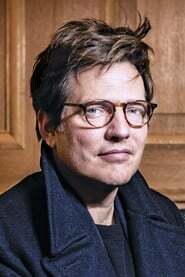 That year Vinterberg made his first TV drama for DR TV and his short fiction film The Boy Who Walked Backwards, produced by Birgitte Hald at Nimbus Film. This film has won awards and accolades all over the world, including Nordic Panorama in Iceland, the International Short Film Festival in Clermont-Ferrand, and the Toronto International Film Festival. His first feature film was The Biggest Heroes (De Største Helte), a road movie that received acclaim in his native Denmark. In 1995, Vinterberg formed the Dogme 95 movement with Lars von Trier, Kristian Levring, and Søren Kragh-Jacobsen. Following that dogma in 1998, he conceived, wrote and directed (and also had a small acting role in) the first of the Dogme movies, The Celebration (Festen). As per the rules of the Dogme manifesto, he did not take a directorial credit. However, he and the film won numerous nominations and awards, including the Jury Prize at the 1998 Cannes Film Festival. In 2003 he directed the apocalyptic science fiction love story It's All About Love, a movie he wrote, directed and produced himself over a period of five years. This movie was entirely in English and featured, among others, Joaquin Phoenix, Claire Danes, and Sean Penn. The movie did not do well, as critics and audiences found it idiosyncratic and somewhat incomprehensible. His next film, the English-language Dear Wendy (2005), scripted by Lars von Trier, also flopped, even in his native Denmark where it sold only 14,521 tickets. However he won the Silver George for Best Director at the 27th Moscow International Film Festival. Vinterberg then tried to retrace his roots with a smaller Danish-language production, En mand kommer hjem (2007), which also flopped, selling only 31,232 tickets. On 1 August 2008 he directed the music video for "The Day That Never Comes", the first single off Metallica's album Death Magnetic. His 2010 film Submarino was nominated for the Golden Bear at the 60th Berlin International Film Festival. In 2012, his film The Hunt competed for the Palme d'Or at the 2012 Cannes Film Festival and was nominated for the Best Foreign Language Film award at the 86th Academy Awards. In 2015, he directed Far From The Madding Crowd, an adaptation of the acclaimed Thomas Hardy novel, starring Carey Mulligan, Matthias Schoenaerts, Michael Sheen and Tom Sturridge. Vinterberg will reunite with Matthias Schoenaerts in Kursk, a film about the Kursk submarine disaster that happened in 2000. In April 2016, the French government appointed Vinterberg a Chevalier (Knight) of the Ordre des Arts et des Lettres.